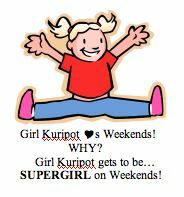 Girl Kuripot Girl Kuripot: This is a Super Contest! Globe and PopAz is having a Super Free! Super Pwede! Weekend Promo before the weekend ends! I'm already super excited for the weekend! You know why it's super? Because this weekend, I get to join more contests then post super contests in Girl Kuripot then finalize more upcoming Girl Kuripot giveaways plus spend some time with family and friends. To top it all off, I get to win and have this P 5000 worth of super weekend pampering! Imagine juggling all of these and having a super great time! My life just gets super fun on weekends. I surprisingly feel super free, super alive and super happy to be able to do all of these things. The Super Promo deadline happens on February 6, 2011! All you have to do answer "What makes you super excited on the weekends?" on your blog, Twitter, Plurk or Facebook. Then add an image or a video to make it super super and post a comment in Az's link below. There will also be 10 Super Consolation Prizes of P200 Globe Prepaid Loads! Join here and be SUP(E)RIZED.